Windo Displays is a pioneering brand in floor advertising. 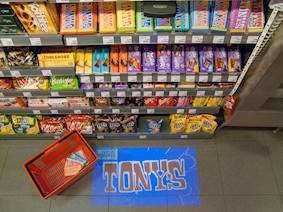 Optoma turns heads in global supermarket store with innovative floor projection. Challenge: Spar City Supermarket in the Netherlands wanted to incorporate a new engaging solution to attract customers to specific brands in store. Solution: Windo Displays, a pioneering brand in floor advertising, selected the Optoma ML750e as a perfect fit for its retail segment digital signage solution. 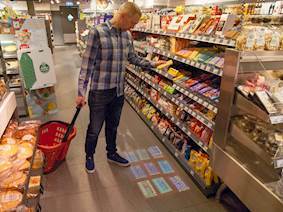 Results: The FloorCaster® Pro incorporates the Optoma ML750e to project brand messages and advertisements on the floor next to the products in the Spar supermarket, making the retail experience more immersive and entertaining. 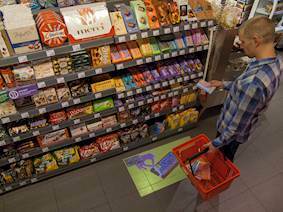 Following years of using the same methods to promote supermarket advertisements, Spar City Supermarket in the Netherlands wanted to incorporate a new engaging solution to attract customers to specific brands in store. Spar is an international group of independently owned retailers and wholesalers with approximately 12,500 shops in 42 countries worldwide. Windo Displays, a pioneering brand in floor advertising, had the perfect solution and saw a niche in this segment for digital signage to be utilised. Their products have been used globally for nearly 25 years. 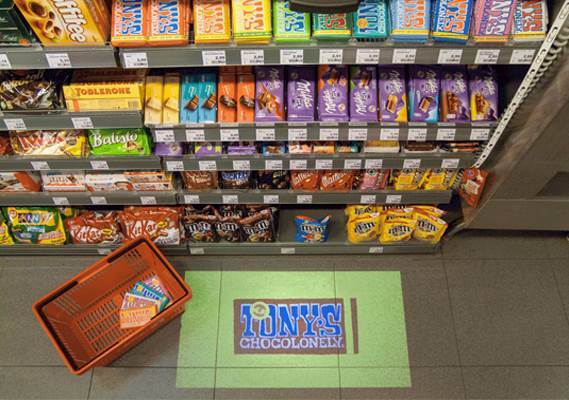 The FloorCaster® Pro is their ground-breaking solution for digital display advertisements in locations where space is scarce such as retail supermarkets. The FloorCaster® Pro project in Spar City required a compact projection system that could be easily installed and mounted onto any kind of shelving unit and or wall as well as ensuring that customers didn’t block the projection. The projector had to be able to work alone, be part of a wireless signage network and have a high enough brightness to be visible in ambient light. All types of projectors were tested from multiple brands during the development stage. Optoma’s lamp-free LED ML750e was selected as the best possible solution as it delivered exceptional colour fidelity and the brightest image for its ultra-compact size. It also incorporates a media player, USB connection and microSD card slot for projection without the need for a source device. After extensive research and development, Windo Displays found the Optoma LED series the best solution. 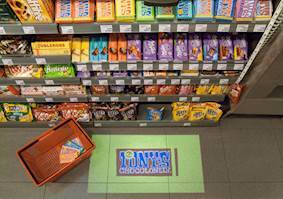 The FloorCaster® Pro projects brand messages or advertisements on the floor, right in front of the advertised products. Images and videos can even be updated daily, weekly or monthly. The Optoma ML750e projector was selected as the best solution for instore floor projection in front of the shelve due to its small and compact size and powerful performance. It provides customers with engaging, informative and inspirational advertisements on the floor right in front of them.